See more objects with the tag industrial design, grooming, electric, toiletry, razor. This is a Electric Razor. It is dated 1957 and we acquired it in 1986. 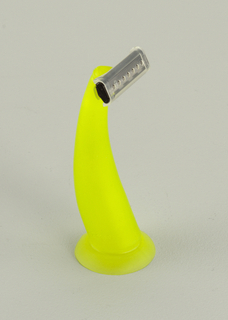 Its medium is molded plastic, cast metal. It is a part of the Product Design and Decorative Arts department. 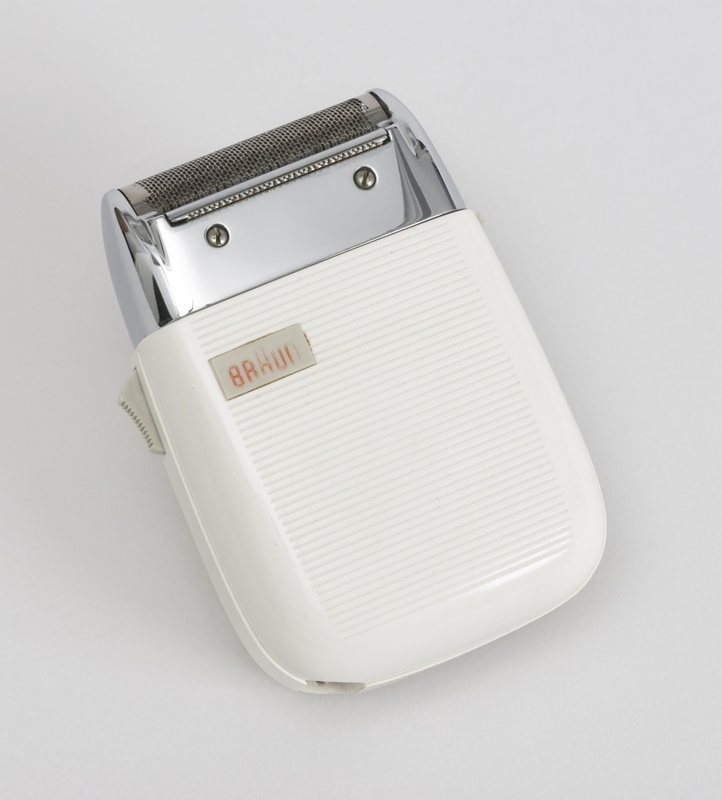 In 1950, Dieter Rams and Gerd Alfred Muller introduced their first electric razor with a patented foil and cutter head. 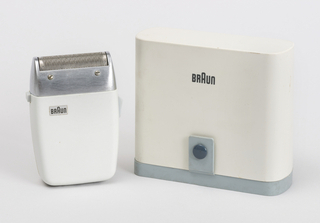 From then on, electric razors were a central product category for Braun. 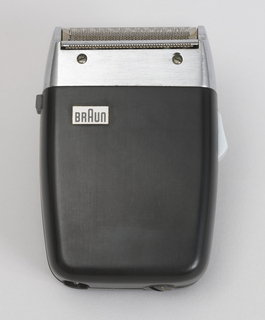 This model has the addition of a fixed-position trimmer on one side of the head, thus earning the "Combi" title.